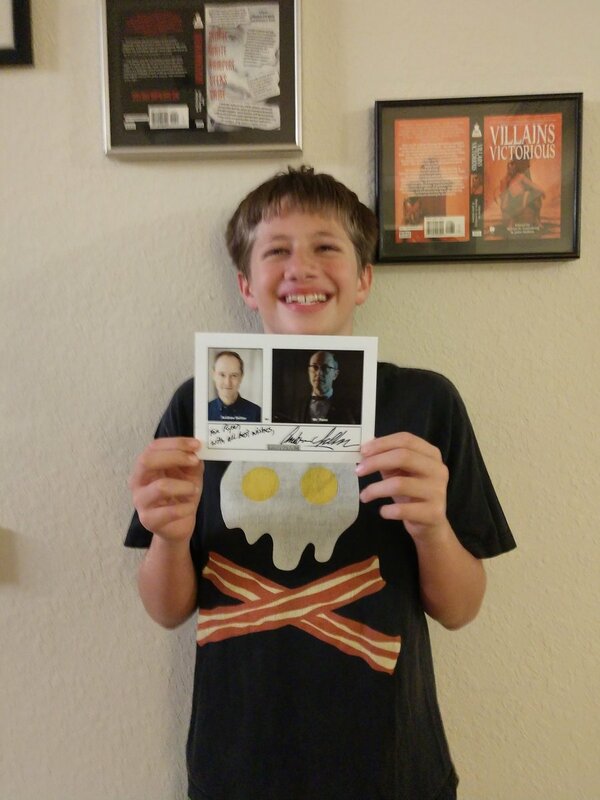 Mr. Penn Has Fans in Colorado–and China!! 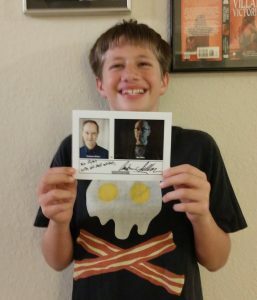 Posted byAndrew Sellon	 August 4, 2018 Leave a comment on Mr. Penn Has Fans in Colorado–and China!! When I went out to give my summer coaching intensive at Western State Colorado University this July, I wasn’t prepared for the number of Gotham fans I would meet among the students and faculty. 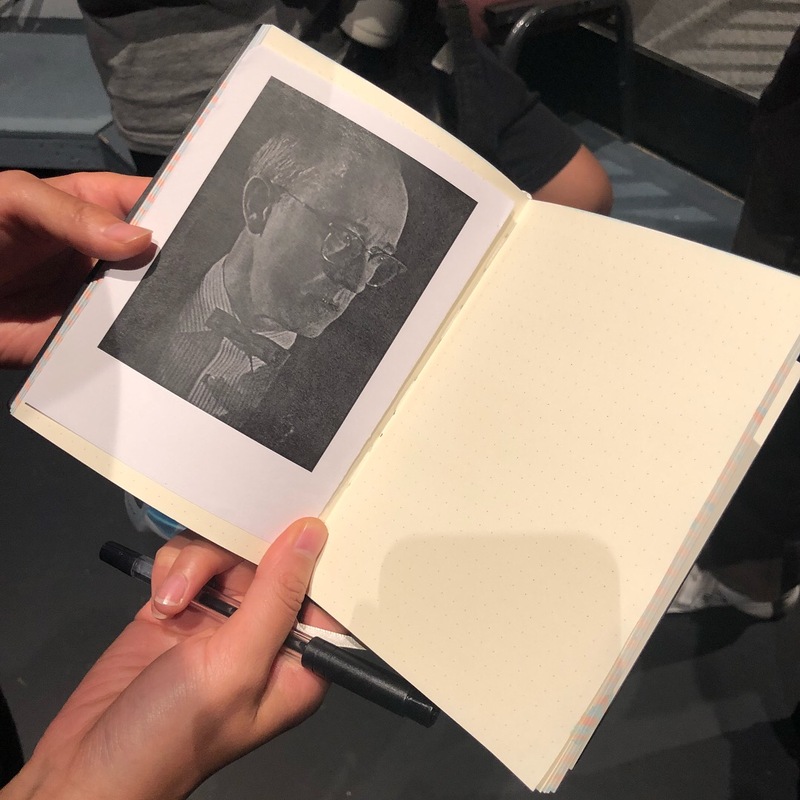 I had a number of requests to pose for photos, and for autographs–so I had to come up with some autograph cards quickly, as I hadn’t brought any with me! Yiming brought two of these prints for me to sign–all the way from China!! As cool as it was to meet Gotham fans from various parts of the US and Colorado, the cool factor then went through the roof: I learned that talented screenwriting MFA student Ji Ding’s girlfriend Yiming Zhao had traveled all the way from their home in China for the graduation–and brought along pictures of Mr. Penn for me to sign!! 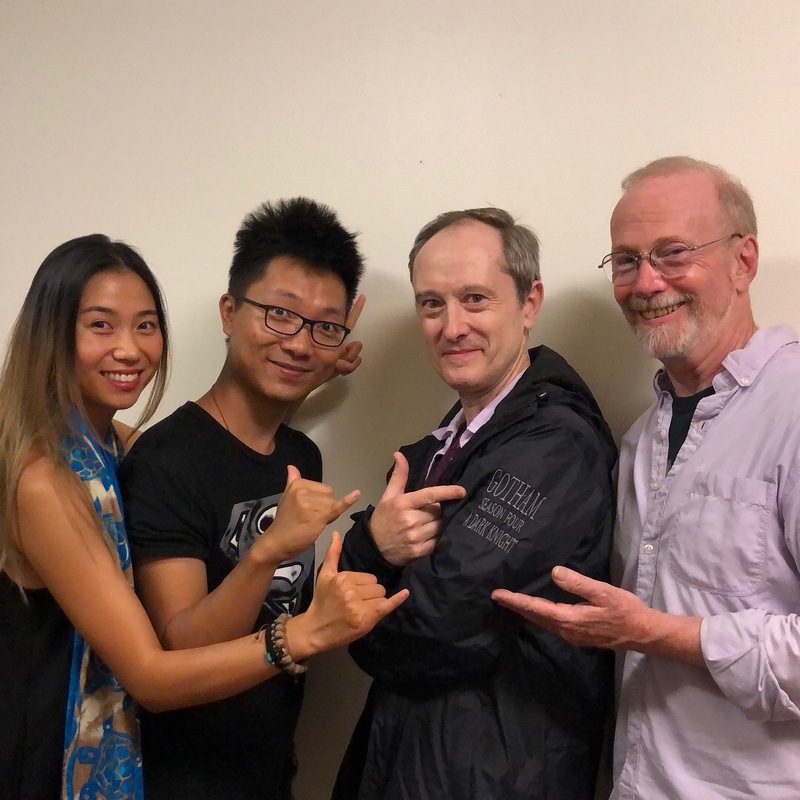 Yiming Zhao and Ji Ding pose with me and Tim for a silly Gotham shot. 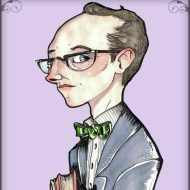 The fact that a Gotham fan carried Mr. Penn images all the way from CHINA kind of blew my mind. I had brought my Gotham rain jacket with me on the trip, so I put that on and we had fun posing for a picture she could share with fellow fans back in her homeland. I’m honored and humbled every time I meet more of Gotham’s incredible fans.